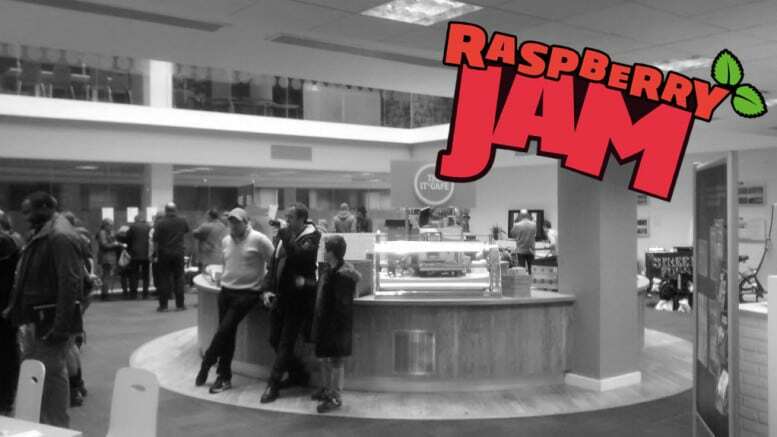 Last week I drove to the other side of London to attend the 10th Egham Raspberry Jam. It’s the first time I’d attended this particular Jam having avoided the the 2 hour journey on the M25 when the event has been held previously. 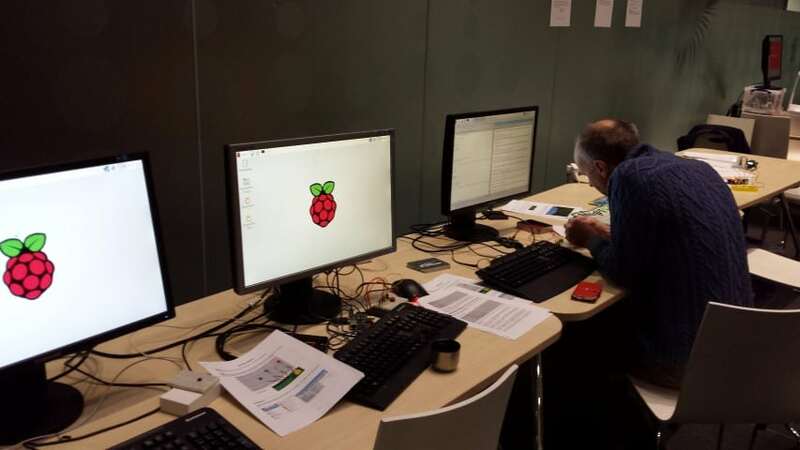 The Egham Jam is organised by Albert Hickey – the same chap you’ll hear on the Pi Podcast. 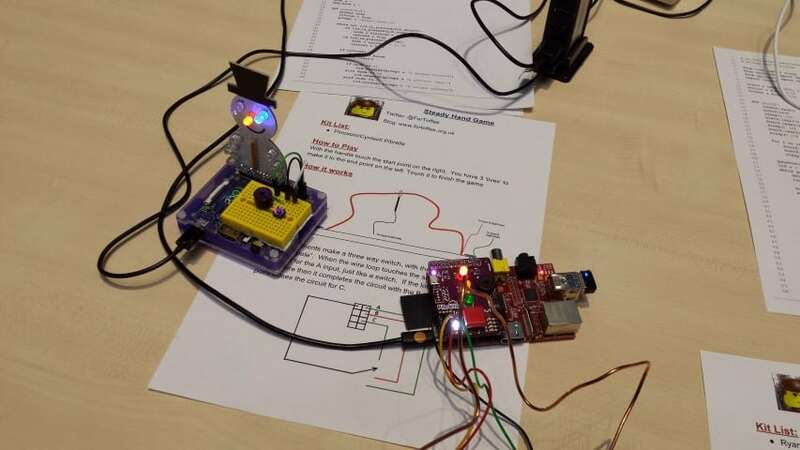 Egham’s event is a bit smaller than the ‘high profile’ CamJam, running for just 3 hours, however it was still full of lots of cool projects and things to see and do. I spent most of my time at the event talking to people around my table where I had a few of my recent projects on show, however I did manage to have a quick look at the other tables nearer the end of the day. Top marks for the location of the Egham Jam. 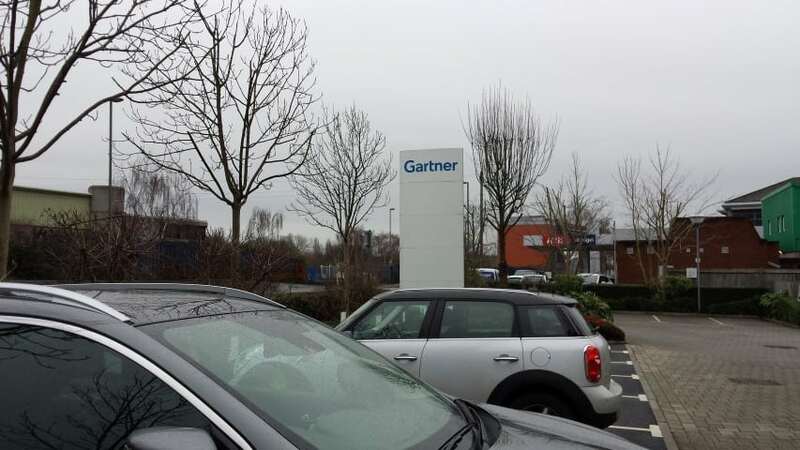 Albert managed to borrow a social space inside a large Gartner office which was just perfect for this kind of event. Easy to find, lots of parking and a really modern and impressive space. The Egham Jam doesn’t hold any talks or sessions, focussing more on sharing projects and getting people talking. This ‘style’ was shared in advance of the event and I found that it had a positive effect on people – I’ve never talked to so much at a Jam before! 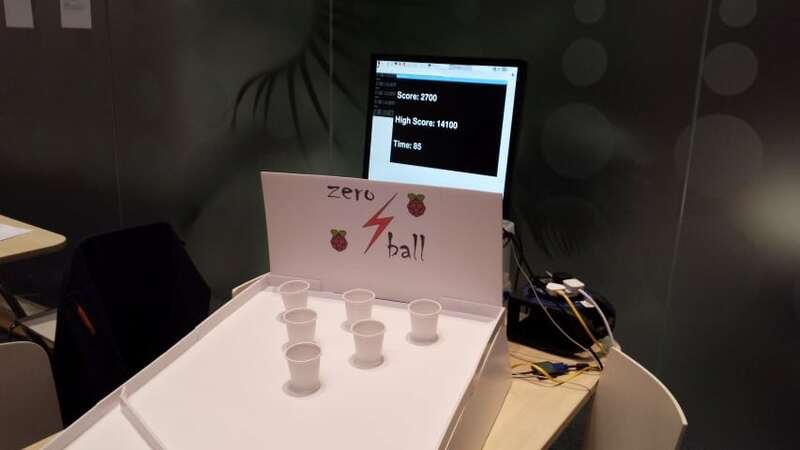 Jam organiser Albert Hickey had a game called Zero Ball on display. I walked past a couple of times but didn’t manage to have a go myself as it was being used. The game involves scoring points for successfully throwing a ball into the different cups. 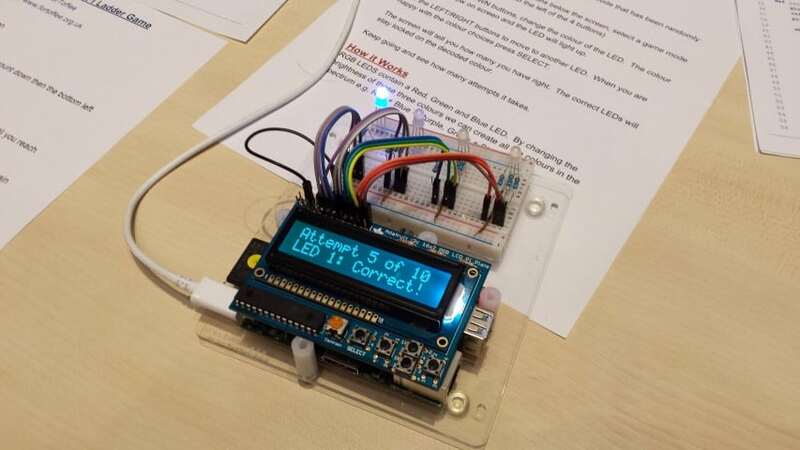 He built this using light dependant resistors, an MCP3008 analogue to digital converter and PyGame to code it. 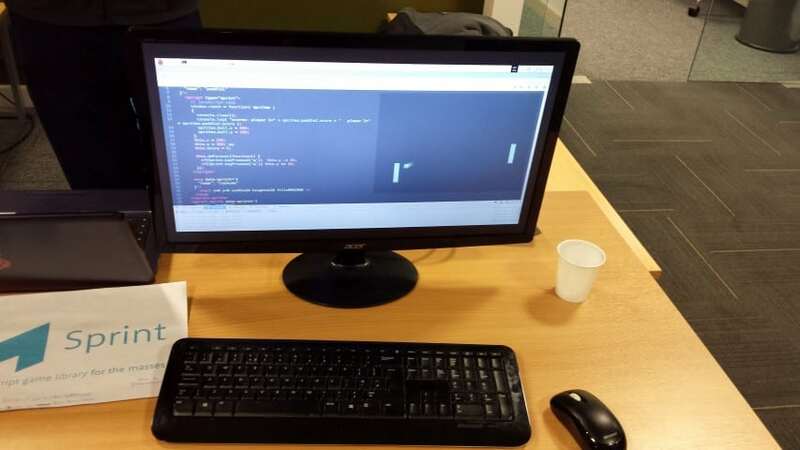 I was really interested in Zach’s table as I’m just itching to make a games console out of a Raspberry Pi. 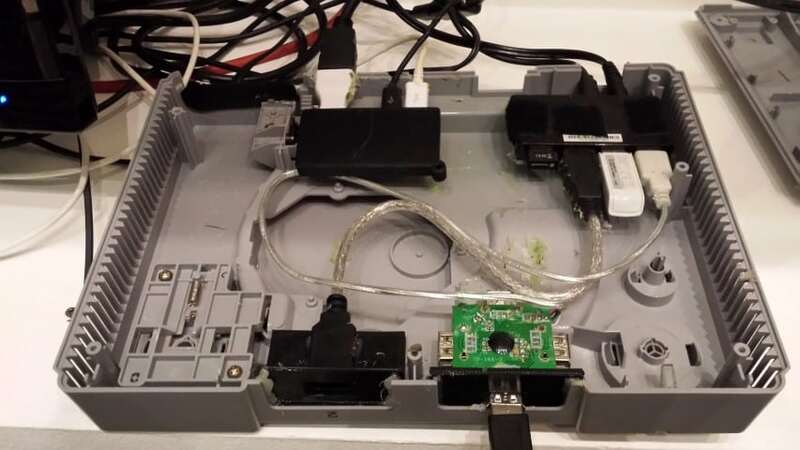 Zach took an old Playstation 1 console, ripped out the guts and installed a Pi Zero inside. 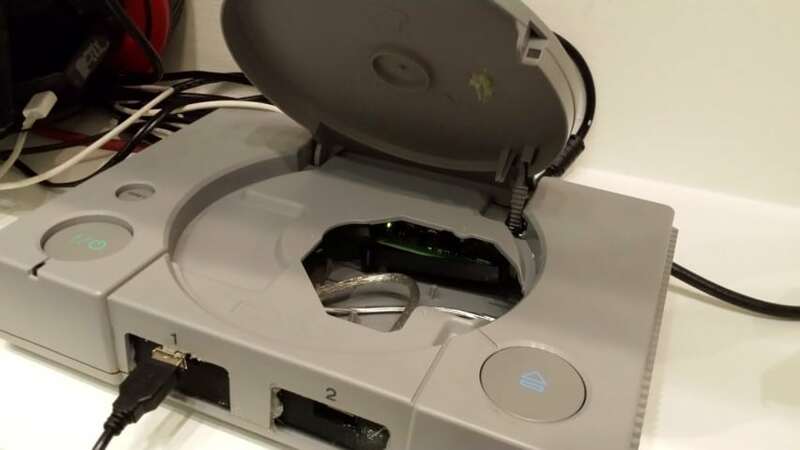 For a gamepad he uses a USB SNES controller. A few 3D printed parts completes the build and holds everything in place. I’d not seen RetroPie in action before and was really impressed by how many consoles it manages, and also how well it runs on the little Pi Zero! I’m definitely going to make something with this soon. This was one of the most impressive builds on display. 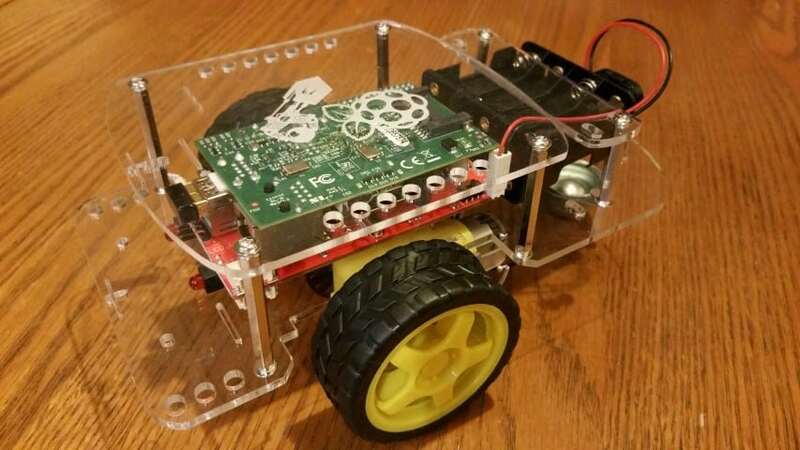 A Raspberry Pi controlled firecracker display system…thing! Lucy made this project as part of an event held over on the Isle of Wight. 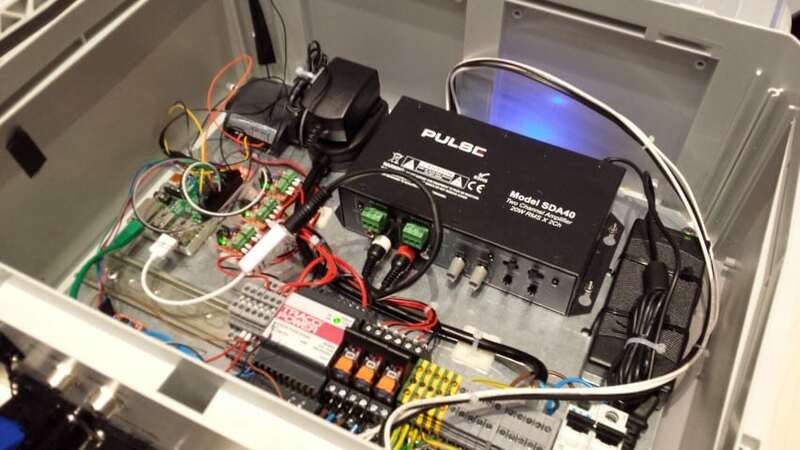 The organisers wanted to use firecrackers but they weren’t permitted, so Lucy came up with this beast of a project to emulate the real thing – involving the lights, speakers and sensors to set them off when people walk past. Impressive! Pi firecrackers…I’ve seen it all now! Definitely something to look in to…one day! I may have missed one or two other tables as I got round late in the day, but I find that always seems to be the case when you bring projects along yourself. I noticed that Innovations in Education were in the house showing off the Pi Trol, but I was too late to check it all out properly. It was great going to a different kind of Jam for a change, less talks/sessions and much more emphasis on meeting new people and sharing projects. I really liked the format. 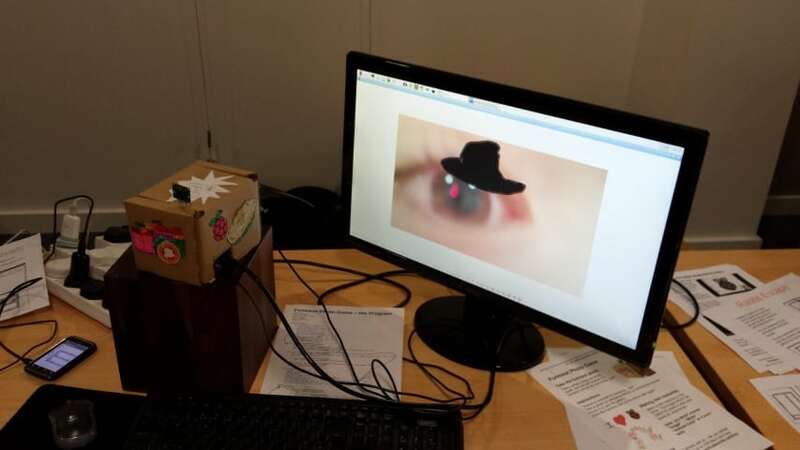 People seemed to enjoy the projects I put on display, mostly AverageBot and my latest ‘BURT’ Pi Zero robot. They took on some light damage but it was worth it seeing how much they seemed to engage the young people. This was the 10th Egham event so no doubt there will be more. Luckily my sister lives 20 minutes from Egham so I should be able to wangle a lunch/dinner into the next trip as well! 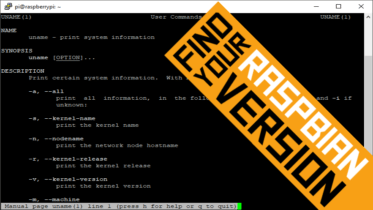 1 Comment on "The 10th Egham Raspberry Jam"
Yay! My project was featured!